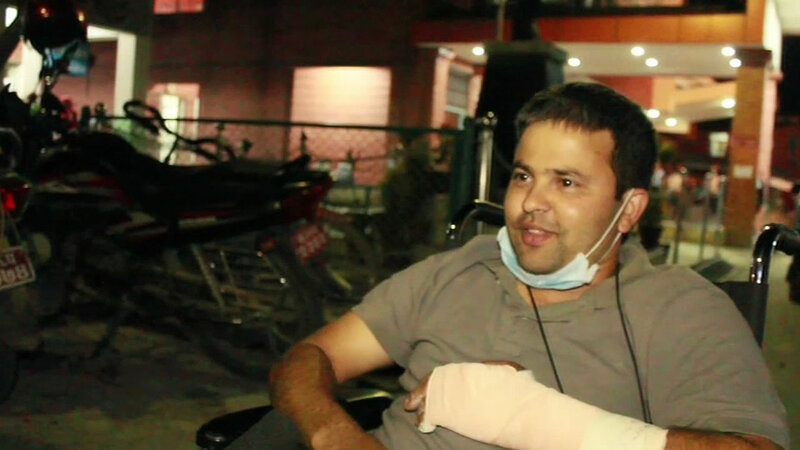 A Sunnyvale man doing relief work following the first Nepal earthquake is among those injured in Tuesday's big shaker. KATHMANDU, Nepal (KGO) -- A Sunnyvale man doing relief work following the first Nepal earthquake is among those injured in Tuesday's big shaker. This quake was centered northwest of Nepal's capital, Kathmandu, but in a different location than the one that struck last month. 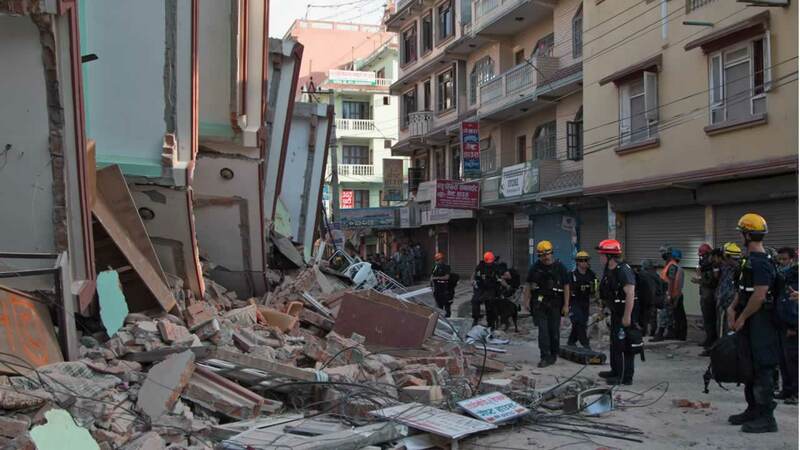 The government of Nepal has sent rescue helicopters to search for survivors. The death toll from this recent quake stands at 65, but that number is expected to rise. A Sunnyvale man is among those injured in Tuesday's big earthquake and shares his story of survival with ABC7 News. ABC7 News reporter Sergio Quintana was in Nepal when the quake hit, covering a South Bay man who went to Kathmandu to help. That man, Bishow Bhatta of Sunnyvale, has been in Nepal for the past 10 days helping at an orphanage. During the quake, as people rushed out into the street, Bishow helped get all the children off the second floor of the orphanage. When it was time for him to leave, he noticed the building next to him shaking, so he jumped from the second floor and broke his hand and leg. ABC7 News spoke to Bishow at the hospital. Bishow: "I jump. Then I thought it was grass. I did not calculate myself exactly, but I fall down on the concrete slab." Quintana: "You jumped from the second floor?" Bishow: "Yes, sir. About 22 feet high." Bhatta's wife, Deepa Bhatta, has been in limited contact with him since he left. According to his wife, he will require some surgery. She and their two children, ages 13 and 15, haven't slept much after knowing he was injured. Those words encouraged Bishow to fly to his native Nepal following the first earthquake which devastated his country. His wife told us her husband has always been a giving person. In 2002, the 40-year-old cab driver founded an organization to help an orphanage in a village in Kathmandu. Her husband arrived a week ago to help victims of the quake. He and others have been busy distributing food and goods -- and then came this second quake. Her husband was inside the orphanage. Everyone managed to escape except himself. He was stuck on the second floor and had to act quickly. Deepa said at the last moment he thought the house would collapse so he jumped first. Deepa has spoken to her husband's family in Nepal and the medical staff and now knows he will need an operation. They told her, "Don't worry he is OK. He's out of danger." 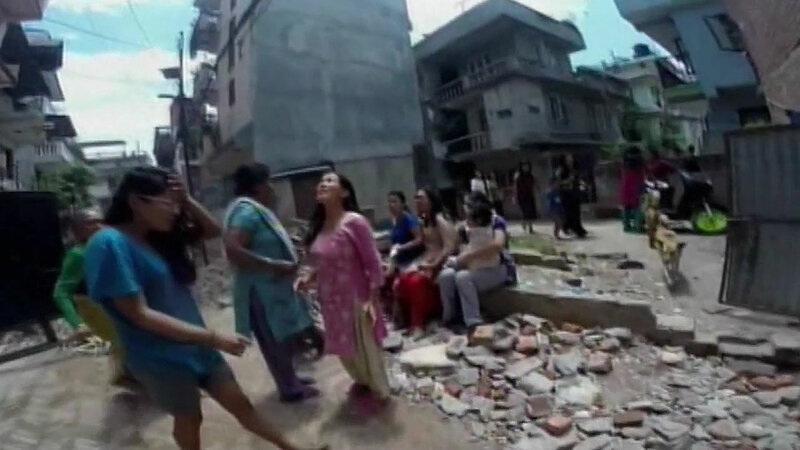 ABC7 News reporter Sergio Quintana was on assignment in Nepal when he experienced the country's second major quake and shares the reaction of locals. In the meantime, she says she won't rest until he is back. She hopes he gets well and comes back soon. None of the kids in that orphanage were hurt. And when Bishow was on the ground near the building, it was the children and some of the other volunteers who helped move him to safety and then took him to the hospital.